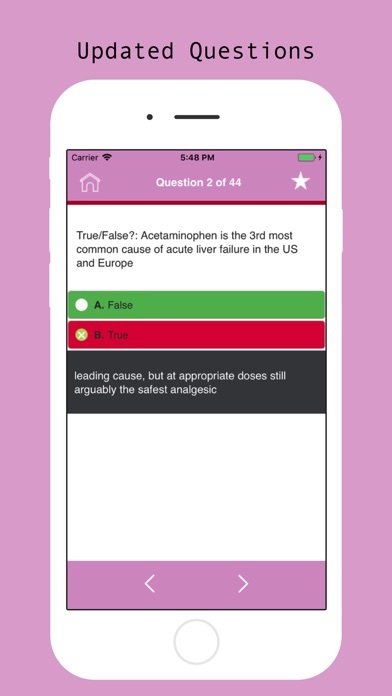 Toxicology Visual Prep Recently Updated ----- Toxicology Visual Test App Contents are recently updated based on official curriculums. Toxicological examination, medical inspection of an individual who is, or is suspected of being, poisoned. In most poisoning cases, the toxic agent is known, and the physician’s main concern is to determine the degree of exposure. In cases involving ingestion of unlabelled prescriptions or trade-name household products, the identification of the precise toxic chemical may present a major problem. Poison-information centres in hospitals and special locations in larger cities are equipped to give prompt assistance in this aspect of diagnosis, since they keep a file of trade names of potentially poisonous products with the ingredients. Visual Prep Provides you three learning options. * Visual Mode * Training Mode * Student Mode Learn, Train and Pass your exam on the first attempt, Visual Prep Passing rate is more than 98% App Features: ---- *	Latest Update *	Three Learning Modes *	Verified Contents *	Save/Bookmark Unlimited Questions *	Lifetime Updates FREE *	Test Taking Strategy *	Testing Log *	Review Your Exam *	Friendly Interface *	Works without Internet Connection *	Dynamic and Static Content Updates FREE *	Trusted by Industry Professionals ---- LEGAL NOTICE: WE ARE NOT affiliated with any testing agency, certificate, test name or any trademark. All Trademarks are the property of respected trademark owners.